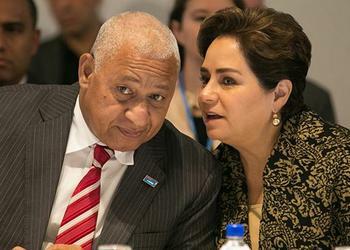 BONN, Germany, November 10, 2017 (ENS) – National leaders and business leaders pledged ambitious action and millions in funding for renewable energy today at the UN climate talks in Bonn, hosted by the government of Fiji. It’s Energy Day at COP23, the 23rd Conference of the Parties to the UN Framework Convention on Climate Change, UNFCCC, and the focus is on the Paris Agreement, set to be fully operational by 2020. The central goal of the 2015 Paris Agreement is to keep the average global temperature rise well below 2 degrees Celsius and as close as possible to 1.5 degrees above pre-industrial levels. About one degree of that rise has already happened, giving urgency to the goal of global clean energy transformation. Energy Day is organized by The Climate Group, the International Energy Agency, IEA, the International Renewable Energy Agency, IRENA, and Sustainable Energy for All as part of a series of thematic action days. Today’s litany of success stories, action and new commitments from businesses, states, cities and forward-thinking countries are intended to ensure the clean energy transition is underway and is irreversible. Thirteen countries and the IEA announced on November 7 the launch of the “IEA Clean Energy Transitions Programme,” a new multi-year, €30 million plan to support clean energy transitions around the world. Backed by IEA member countries committed to promoting the development of clean energy, this new program will leverage the IEA’s unique energy expertise across all fuels and technologies to help accelerate global clean-energy transitions, particularly in major emerging economies. Fatih Birol, executive director of the International Energy Agency, is optimistic. “Widespread action by governments and private sector alike has helped keep global energy-related emissions flat the last three years. Our analysis shows we can meet climate goals while achieving energy access and improving the environment,” he said. On Energy Day, IRENA released a new report, which finds that the renewable energy components of current national climate plans under the Paris Agreement, known as Nationally Determined Contributions, NDCs, lag behind actual deployment trends, national energy targets and the cost-effective potential for accelerated deployment. The report,” “Untapped Potential for Climate Action: Renewable Energy in Nationally Determined Contributions,” shows there is “substantial scope” for countries to cost-effectively increase the renewable energy ambitions set forth in their NDCs so that they are aligned with the long-term goals of the Paris Agreement. “We have a large, untapped, and affordable renewable energy potential waiting to be developed. 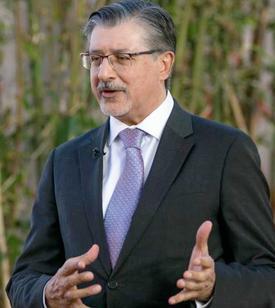 Revising the Nationally Determined Contributions gives countries an opportunity to take a fresh look at how to harvest this potential, not only for mitigation, but in light of the multiple socio-economic benefits of renewables, also for adaptation,” said Amin. The campaign is designed to tap global business buying power to fast-track the roll-out of electric vehicles and infrastructure and address rising global transport emissions. Four major businesses from three continents today joined EV100, pledging to transition to electric transport by 2030. They include the airline Air New Zealand; Mercury, the New Zealand electricity retailer and generator; Dutch engineering and project management consultancy Royal HaskoningDHV, and Japanese shopping mall developer AEON Mall. The movement to popularize electric vehicles, from passenger cars to buses and heavy-duty freight trucks is growing. The Electric Vehicles Initiative, EVI, is pushing the envelope. This multi-government policy forum launched in 2010 under the Clean Energy Ministerial, is dedicated to accelerating the introduction and adoption of electric vehicles worldwide. Since Energy Day 2016 at last year’s UN climate conference, RE100, a collaborative initiative uniting the world’s most influential businesses committed to 100 percent renewable power, led by The Climate Group in partnership with CDP, has now grown to 114 members. The international consultancy and construction company, Mace, which strives to create more sustainable cities and communities, has today joined the RE100 campaign. 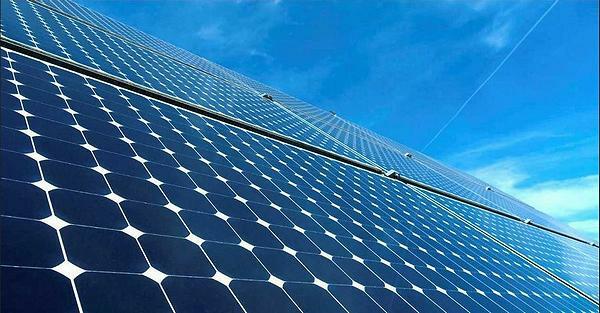 The UK-based company is aiming to achieve 100 percent renewable electricity globally by 2022. The Climate Group calculates that these 114 companies can create demand for over 153 terawatt-hours of renewable electricity annually, more than enough to power a country the size of Poland. Its members are sending a signal to policymakers and investors to accelerate the transformation of energy markets, which will eventually see electric vehicles powered by renewable energy. The news follows announcements earlier this week from UK-based bank HSBC, which has joined RE100 with a commitment to sourcing 100 percent renewable power by 2030. U.S. bank Wells Fargo announced that it has achieved 100 percent renewable electricity through the purchase of renewable energy certificates to power its over 90 million square feet portfolio, and is now working to achieve its 2020 goal to transition to net new sources of renewable electricity. Helen Clarkson, CEO, The Climate Group, is proud of the role business is playing in driving a zero-emissions economy. “It’s fantastic to see continued leadership from companies on climate action – commitments like these are smart business decisions that future-proof operations and boost the bottom line,” she said. Rachel Kyte, special representative of the UN Secretary-General and CEO, Sustainable Energy for All, says the time to act is now.